← THE SYNTHABAG! Join this elite group of fighters that Use The SYNTHABAG now, and unleash the complete fighter in you! Join the movement!! Go to SYNTHABAG.com and order yours today. Use coupon code save30 and get 30% off the gear and equipment Also. THE SYNTHABAG! Join this elite group of fighters that Use The SYNTHABAG now, and unleash the complete fighter in you! Join the movement!! 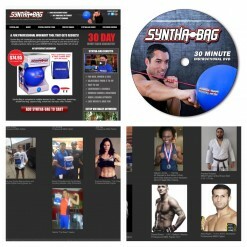 Go to SYNTHABAG.com and order yours today. Use coupon code save30 and get 30% off the gear and equipment Also get a free instructional DVD with your order.